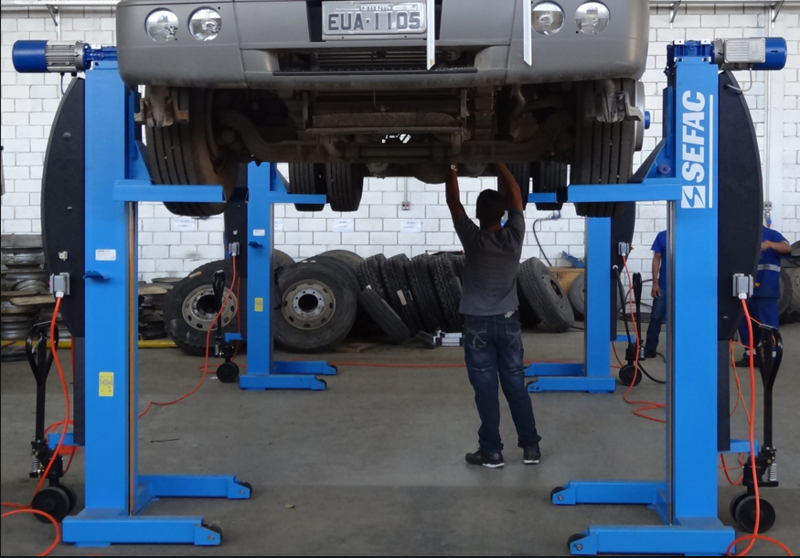 If you are talking about auto lifts, experts in the automotive repair industry always suggest hiring a skilled installer. That is why multiple superlative products have been conceived by SEFAC after 45 years of research. These heavy duty lift products are designed in such a way that it can lift any road going vehicle securely. SEFAC is known to be one of the leading vehicle hoisting manufacturers where you’ll get a wide range of excellent equipment including hydraulic wheel dollies, cleaning equipment, and transmission jacks. These stools and stands are incredibly serviceable for vehicle lifts. The specialized SEFAC equipment can lift any types of heavy vehicles. Form busses to trucks, coaches or even civil works vehicles, the superior lifting solution is these superb stools and stands. People trust SEFAC for various reasons. These equipments are specially designed for heavy duty workshops. These are the result of intense hard work and dedication of the R&D Department of SEFAC. It will make lifting vehicles easier than before. Now, let’s review some of the best equipment for lifting heavy-duty vehicles. These are the best choice for truck workshops and heavy truck lift. This superior equipment helps you to hoist a vehicle without any physical stress. Most importantly the security and the flexibility are incredible. This superb machine does its work without hampering the massive vehicle. Along with that, it is the most cost-effective solution with double lifting technology. You can store it in your workshop smoothly when it’s not working. Another great machine of SEFAC is named as King Pin Press. This one is equipped with the pump. It is designed in such a way that it can wield forces from 132,200 lbs. A tared pressure limiter is also provided. You can keep it in your workshop without worrying about the maintenance fee because it comes with low maintenance facility. The dollies are another great invention of SEFAC. It comes with excellent foot and hand control facility. The revolving wheels are an added advantage which provides the highest maneuverability. This brilliant machine can carry different wheels of heavy vehicles. It has adjustable arms which will help you to lug various wheel sizes. If you are hunting for the best machine to move different mechanical parts of in your workshop, then this one is the ultimate solution for you. It has a large piston diameter which provides outstanding stability. The swivel head ensures that you work in three directions altogether. So to create an excellent ergonomic condition in your workshop or outside your workshop, you should try this one now. Apart from that, so many other superior machines have been designed for your betterment and usability. Visit SEFAC today and enjoy these modern machines with latest technologies.